Details of your payment amounts, payment dates, APR, and specific fee information, including any applicable fees for late payments and NSF/returned items, are included in your loan agreement. You can review and download copies of your documents at any time during the life of your loan by logging in to your account here. You should always carefully review your loan documents before signing. Call our Customer Service Agents if you have any questions or concerns: 1-877-558-1999. To keep the cost of your loan as low as possible, borrow only the minimum amount needed to cover the cost of your emergency expense, and pay off your loan as soon as your finances allow. You can save interest on your loan by making extra payments, paying more than your scheduled amount, or by paying off the entire balance early. Amplify Funding does not charge any penalties or fees for early pay-offs. Our Customer Service Agents can help with any additional payments at 1-877-558-1999. Please note that bigger/additional payments must be made in $25 increments. Your loan agreement includes your payment schedule, which specifies the dates, amounts and number of payments you agreed to for repaying your loan. Included below is a sample payment schedule for a $400 loan. Please note that your APR will vary based on the amount and term of your loan. 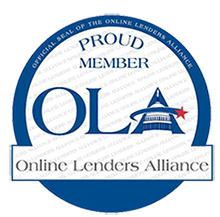 You can reduce the overall cost of your loan by paying the balance off early. Amplify Funding can typically have funds delivered to your bank account the business day after your application has been processed and approved, as long as you meet the cut-off time of 6:00 p.m. CST Monday-Friday. This includes e-signing your loan documents and completing your verbal verification. If you require funds the current business day, you can request a wire transfer up to 3:00 p.m CST Monday – Friday. For loans processed on weekends or bank holidays, you will receive the wire transfer the next business day. Please verify with your bank as additional incoming wire fees may be assessed. To ensure your funding is delivered as quickly as possible, look for and respond to your confirmation email in a timely manner, as it contains your username and password. Log in to your account, carefully review and e-sign your loan documents, then call our Customer Service Agents at 1-877-558-1999 to verbally verify your loan details and arrange for a wire transfer, if needed. If you don’t see your confirmation email within one hour of applying, check your spam folder. If you are still unable to locate the email, call our Customer Service Agents for assistance. You will be charged a $30 late fee for any payment that is late three or more days. 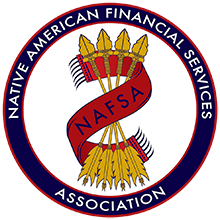 If any payment is returned due to insufficient funds or not honored by your financial institution for any reason, you will be charged a $30 NSF fee.